When the going turns tricky and the only cracks you can find are too narrow for conventional nuts, it’s time to pull out the micro wires. It’s always better to have something, however small, between you and the ground. IMP stands for Immaculate Marginal Protection – a neat little acronym, but one which fits perfectly. IMP runners can never be considered as ‘trainstoppers’, at least not in the same way that a bomber, well placed nut might be. But they can give unexpected holding power in marginal placements, particularly if you cluster the placements and equalise them so that the load is spread evenly. 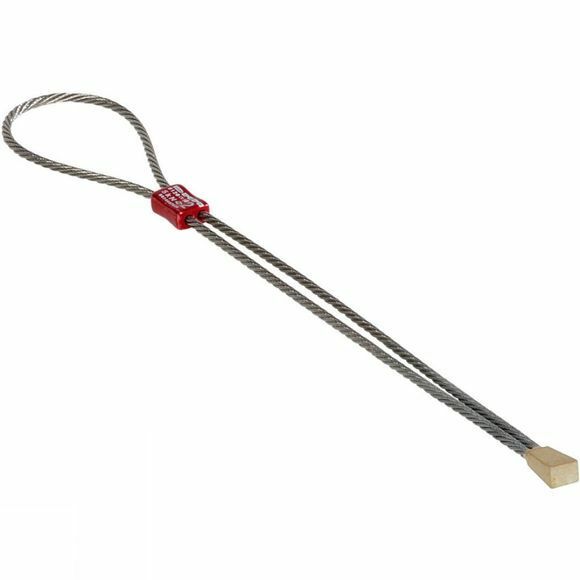 They have a special aluminium swage which holds the wires parallel but allows one wire to slide. This means the nut is loaded more evenly on both sides. The swage is colour coded too, so you’ll always pick the right one. Obviously these are quite a specialist nut, but anybody pushing into the extreme grades should consider them as an essential addition to their rack.